After being re-elected as Zamalek President, Mortada Mansour attacked elected vice-president Hany El-Attal who supported Soliman for President. 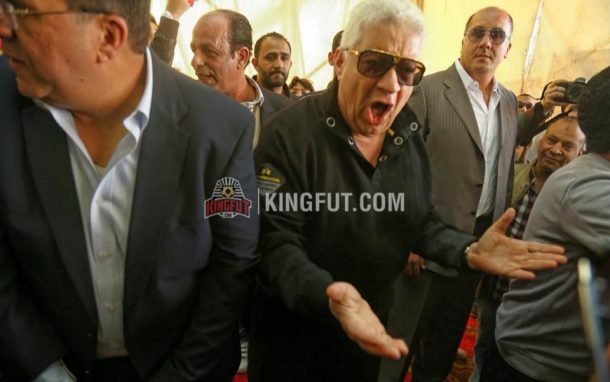 The outspoken chairman won against former Egypt goalkeeping coach Soliman, after collecting 60.8 percent of the votes from a total of 43,600 voters during the elections that were held over two days at the club’s headquarters. “I would like to thank all members who did and did not vote for me during the elections,” Mortada told Nile Sport TV channel. Ahmed Galal Ibrahim and Hany El-Attal secured the two vice-president seats, beating Ahmed Mortada Mansour, Khaled Gabr and Ashraf El-Sokary. The controversial President went on saying that there is a case being reviewed in the court and that what happened in the past three days from eliminating El-Attal from elections and then having him back was wrong. The newly elected board included Hany Zada, Alaa Meqled, Sherifa El-Far, Abdallah George and Ismail Youssef. The treasurer race saw Hazem Yassin beat Saif El-Ammary.